If I’ve heard it once, I’ve heard it a thousand times—light some candles and take a hot bath! It’s a common self care tip, for both physical and mental stresses. That said, cannabinoid-infused soaks are a relatively new phenomenon, there are also as of yet no studies on their medicinal efficacy. 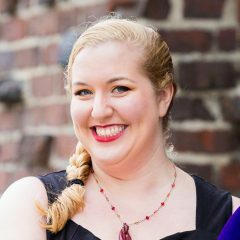 That’s not to say that these baths have no therapeutic value: Though we’re currently in the realm of anecdata, my personal experience and that of the folks I spoke to for this article suggest that not only do these products work, they’re incredibly effective and helpful for folks dealing with pain and inflammation. Plus, there is plenty of research suggesting that essential oils (which most of the products below contain) can provide benefits of their own. 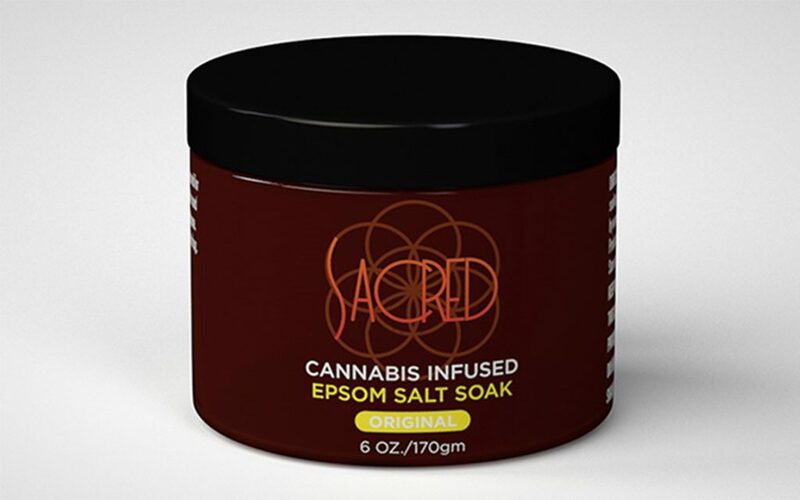 Adding cannabinoids allows for more flexibility in topical application—where one would normally have to apply a cream, salve, or oil to pain areas, an infused bath allows for all-over relief. 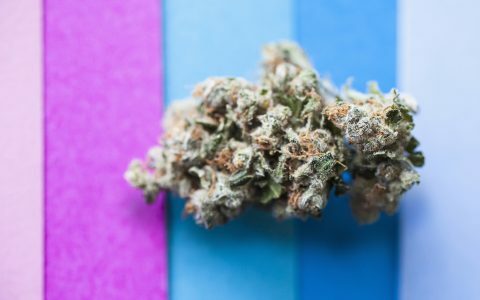 It’s important to note that topical application of cannabinoids, even THC, will not cause psychoactive effects and will not show up on a drug test. 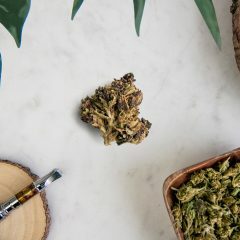 THC-infused products are only available in states that have medical or recreational laws, so for those in prohibition states, you’ll have to stick to CBD-only products. The bottom line is, your mileage may vary. 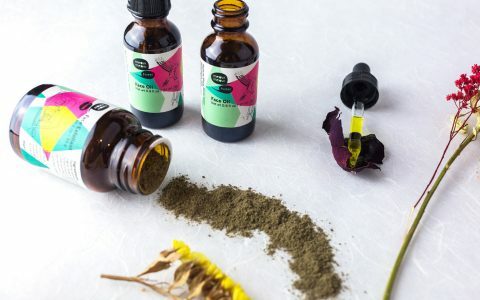 Some will find cannabis-infused bath products to be a life-changing addition to their self care regimen, and others may find it equally beneficial to take a hot bath devoid of any additives whatsoever. The great thing is, these are all relatively inexpensive so give it a shot and see for yourself how it works for your body. Here are the five I’d recommend checking out. This soak is the only one on the list that’s available both in Oregon and nationwide, so everyone can try it! The Black Label version, also available in Oregon, contains THC, but if you’re out of state, you’ll have to go with the White Label CBD version. 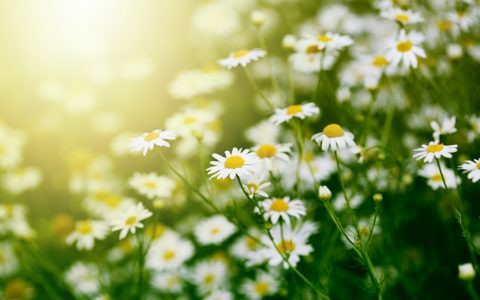 I love the wintergreen, bergamot, and lavender combination—the scents play nicely together and I felt myself taking deep breaths just so I could smell more of it! I was in the midst of menstrual cramps when I tried this bath and found that within ten minutes, my cramps had almost completely subsided. Was it the hot bath, deep breathing, or the CBD that made the difference? Who knows. What I can tell you is that this is going to become my go-to gift for friends in prohibition states. 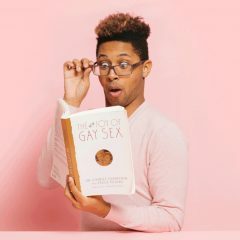 Ingredients: Pharmaceutical-grade Epsom, Dead Sea, and Pink Himalayan salts, non-GMO grape seed oil, organic jojoba oil, sweet almond oil, non-GMO mixed tocopherols, CBD derived from hemp, sodium bicarbonate, and a proprietary blend of essential oils that include wintergreen, bergamot, Oregon lavender. Will I get high? No. You could divide this into multiple baths, but I decided to go big and dump the entire six-ounce jar into the tub. It was heavenly. The oils softened my skin, the peppermint oil provided a soothing chill and pleasant aroma, and the cannabis definitely left my muscles feeling nice and loose from top to bottom. One important thing to note: Since this soak seems to have more oil than the others I’ve tried, it will leave an oily residue in your bathtub. Be super-careful getting into and out of the tub since it might be slippery, and for cleanup I’d suggest using dish soap. Ingredients: Hybrid cannabis, Epsom salt, avocado oil, jojoba oil, vitamin E oil, peppermint essential oil. This product reminds me of steeping tea. The soak comes in a sachet, which makes it so much easier for cleanup! After the soak was dissolved, I eased myself into the tub and could immediately smell the peppermint and lavender essential oils. The peppermint was pleasantly cooling and the lavender relaxing, so I breathed deeply and allowed the relaxation to wash over my body. 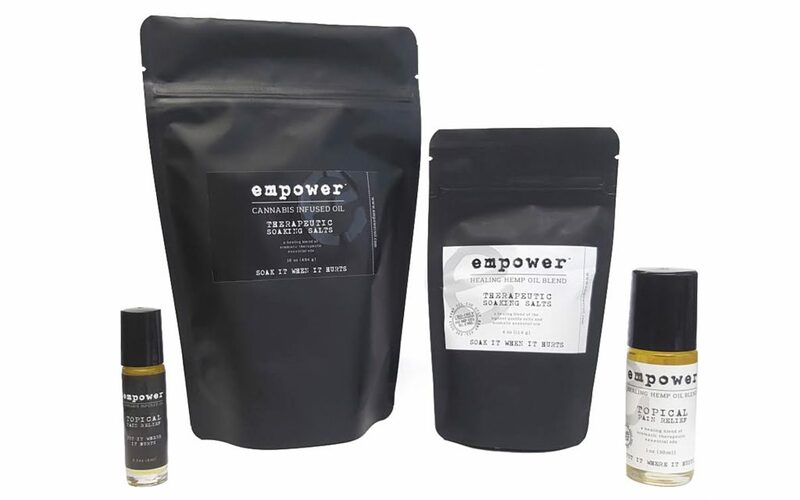 Ingredients: Cannabis leaves, Epsom salts, dried sea salts, lavender, chamomile, peppermint, grape seed oil. 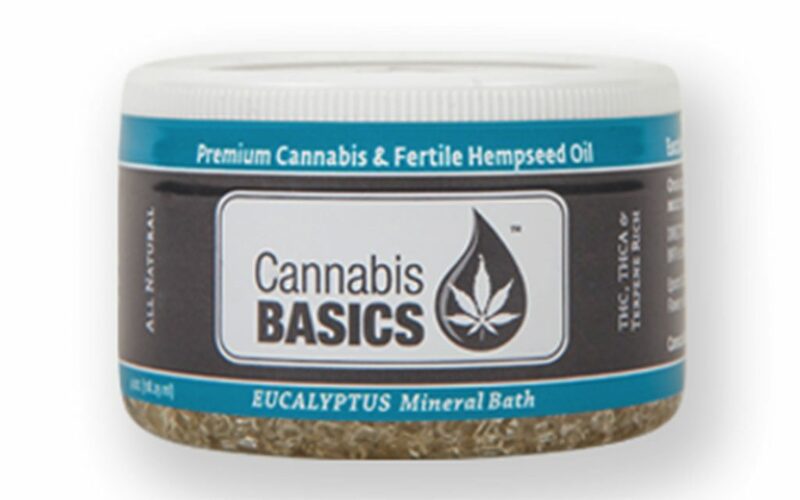 This four-ounce mineral bath from Cannabis Basics allows you to turn your bathtub into a spa. Eucalyptus is an analgesic so it helps with pain and inflammation, and the aromatherapy aspect is great for anyone, particularly if you’re feeling sniffly or congested—you’ll get out of the bath feeling refreshed and uplifted. Hunt it down at Sugarpill in Seattle. 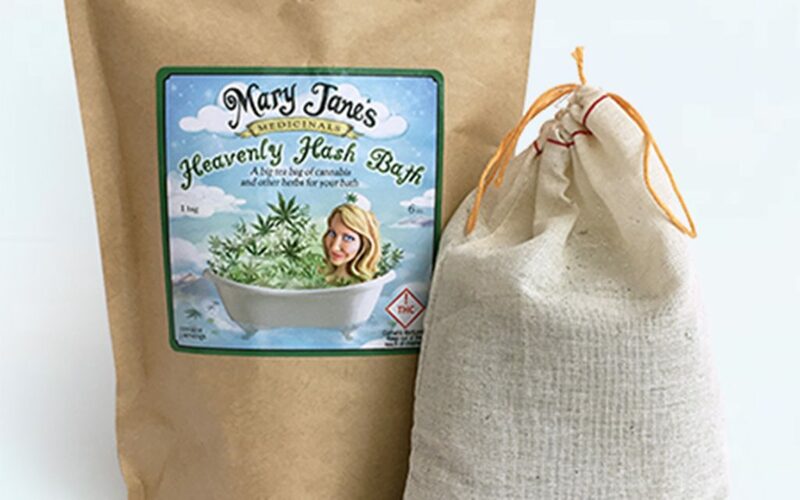 Ingredients: Cannabis, eucalyptus, hempseed oil, Epsom salt. This salt soak has an artisanal feel, packaged in a cork-topped glass bottle with the label affixed to a piece of twine wrapped around the neck. I love that the company’s owner, Linda Aguilar, is a Reiki Master and infuses Reiki energy into all of her products. Reiki, for those unfamiliar, is Japanese for “universal life energy,” and is a “technique for stress reduction and relaxation that also promotes healing.” After soaking in this bath, I felt much more grounded and energetically aligned. 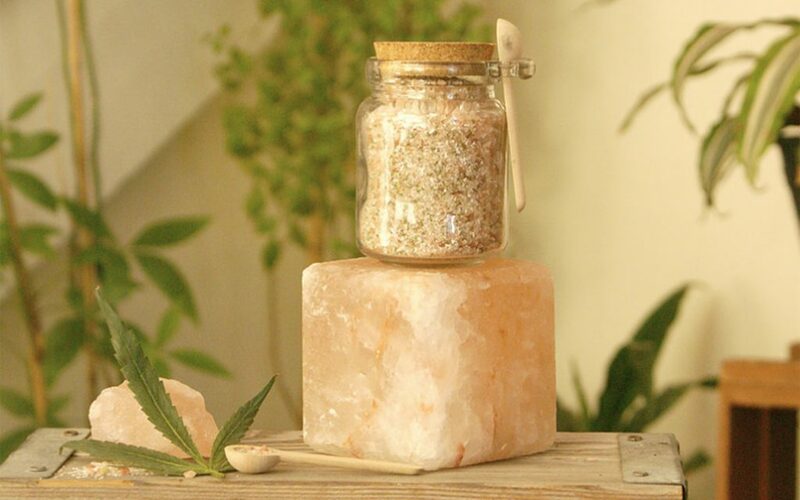 Ingredients: Ground cannabis, Himalayan Pink salt, eucalyptus/spearmint Epsom salts, Reiki energy. 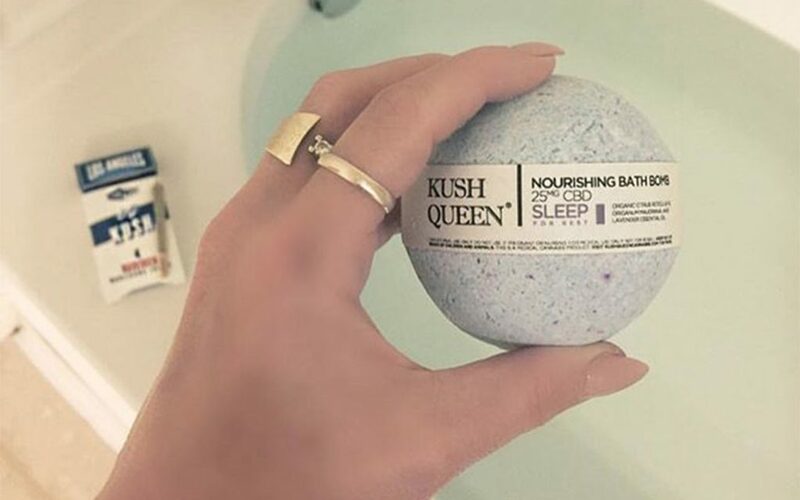 These bath bombs were the brainchild of Olivia Alexander, a cannabis industry influencer and creator of The Crystal Cult fashion vaporizer. When dropped into the tub, bath bomb fizzes and dissolves within a few minutes. 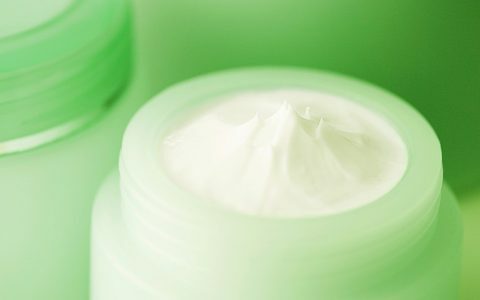 I spoke with Rachel, a fan of the product, who shared, “I definitely noticed a difference. I felt relaxed and fell asleep pretty quickly, and my body wasn’t hungover the next day.” The best part? You can buy them as part of The Lit Kit, containing one bath bomb, one infused milk chocolate, and one half-gram pre-roll. Ingredients: (Relieve Bath Bomb:) Organic clove bud, sweet birch, rosemary, black pepper, coriander seed essential oils. 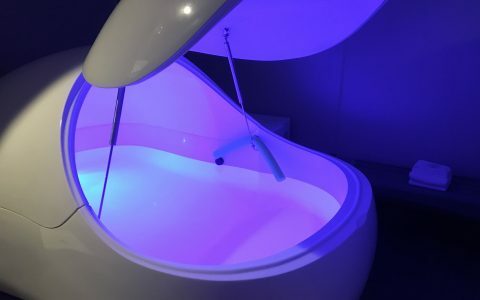 Health Pairing the Power of Cannabis With Medicinal Plants Lifestyle Sensory Deprivation Float Tanks: Are They Worth the High? 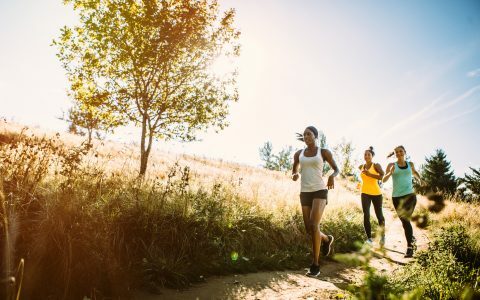 Lifestyle 10 Best Hemp Beauty Products Health Cannabis and Fitness: Which Routines Pair Best With a High? 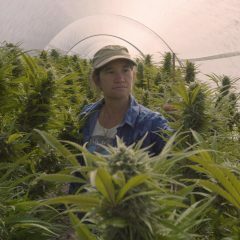 Kush queen is the best! On the hard days of pushing deadlines, I need some relaxation at the end of day. A warm bath with Kush queen let my mind drift and my tensions relax! 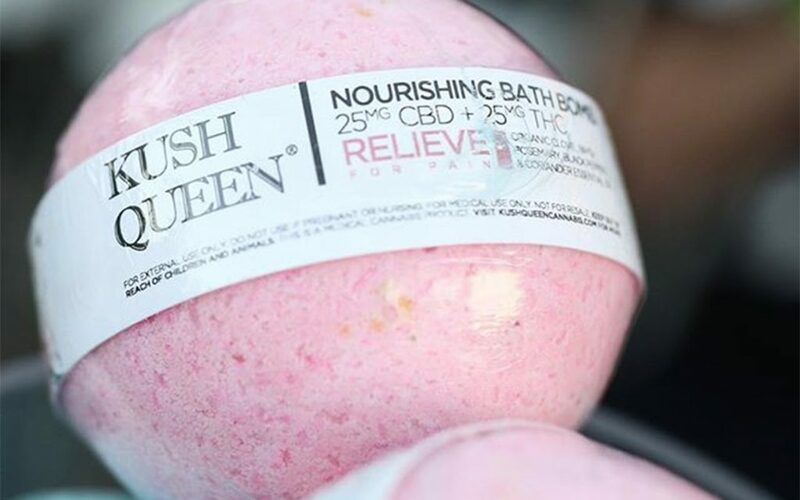 I have tried the baought Kush queen bombs from https://medmen.com and now looking forward to try some varieties,VIDA Butterflies and Orchids THC/CBD Bath Bomb seems interesting!